This Flight carrier is especially made for the traveller who likes to go places in a stylish manner. The design is inspired by the outdoors, but then transformed into a more elegant sibling. 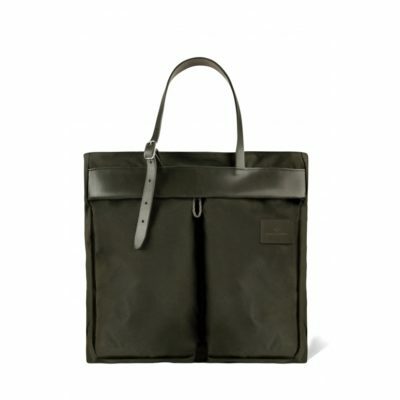 It is fit to use for doing groceries, transporting papers or to use as hand luggage for that weekend to Rome or Milan. This bag is made from water-repellent materials, is fully lined with 3 small inner pockets and 2 outer pockets. The top part has a zip closure and has adjustable leather straps. Comes with a shoulder strap for different usability.